* Works continuously, automatically and quietly in the background on your PC, allowing you to have fun and be more productive. * Updates itself in a smart and automated way. * Scans and removes spyware and adware with the latest definition. * Prevents spyware, hijackers and bad websites from being installed. * Erases the history of all activities in your computer. * Scans and fixes invalid and improper registry entries. * Detects and removes invalid startup items. 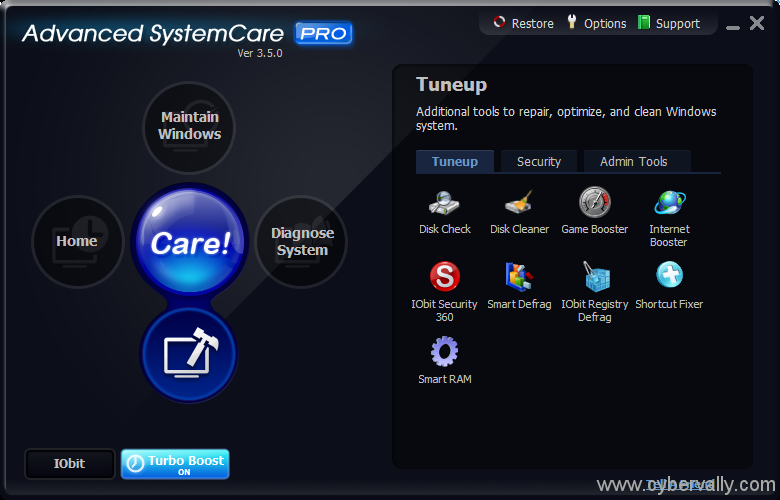 * Repairs system configurations, eliminates system bottlenecks and prevents crashes. 1. Follow idoo on Facebook and share this post on Twitter or Facebook. 3. If you do not use Twitter or Facebook, you can still win the license by commenting on how useful this system care is for protecting the PC. #We will announce the winners on 03rd Feb 2011.